Have Dinner for Two on Us…Find Out How! 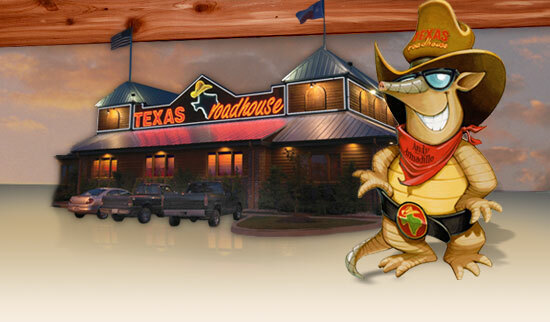 Join Texas Roadhouse in BANGOR,ME for a special holiday offer. We’ll open for Gift Card sales at 9AM and when you come in from 9AM-3PM on Saturday, December 17th and purchase $100.00 in Gift Cards, we’ll give you a Dinner for Two voucher valued at $25.00. There is no limit to the number of vouchers you can receive! We’ll open for lunch at 11AM on this day so come in and fill up on our Legendary Food. Plus, for every $50.00 you purchase in Gift Cards now through December 27th, you’ll receive a sheet filled with great offers valued at over $350.00 from businesses all around New England. Businesses include AAA, Howe Caverns, The Cruise Store, Six Flags New England, Zoar Outdoors, Boston Duck Tours and Northern Outdoors.